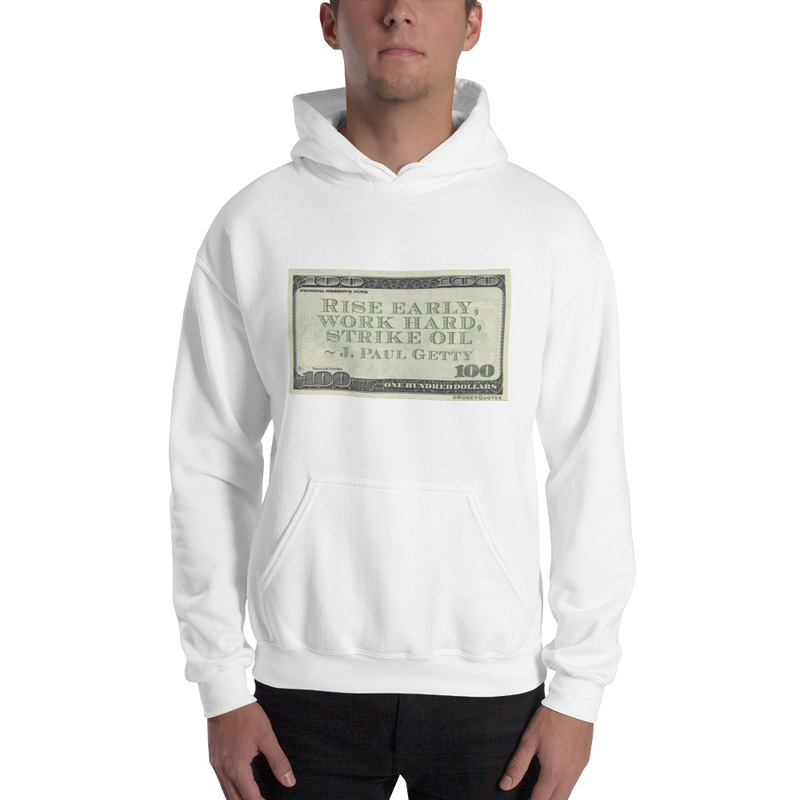 Hoodie with Getty Quote saying "Rise early, work hard, strike oil" is sure to get a smile from everyone you pass by. Everyone needs a go-to, cozy sweatshirt to curl up in, so go for one that’s soft, smooth, and stylish. It’s also perfect for cooler evenings!